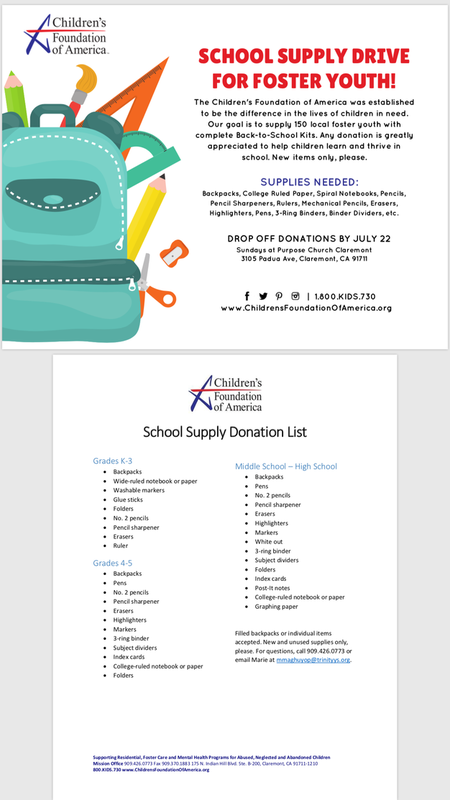 We will be collecting new backpacks and school supplies for the foster youth in our community during the month of July! Bring your item donations to Purpose Claremont Sunday’s at 10 a.m. This is a great opportunity to love on the orphans in our area, don’t pass it up!! James 1:27.